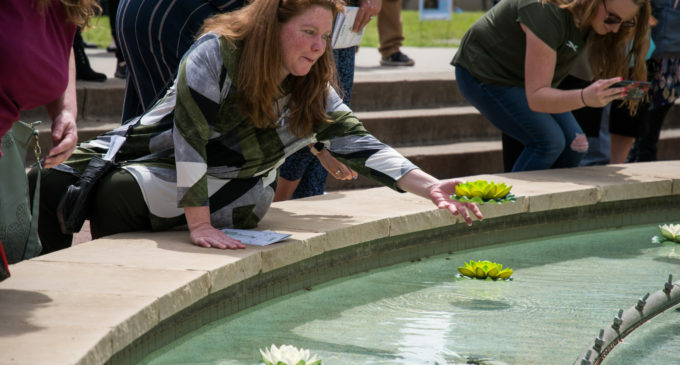 The 13th annual Flight Memorial was held Wednesday on the South Lawn of of the University Union and honored the 664 students, faculty, staff and alumni that have died in the last year. The tribute was to the 10 students, 35 faculty and staff members and 619 alumni, that died between March 1, 2018 and Feb. 28, 2019. 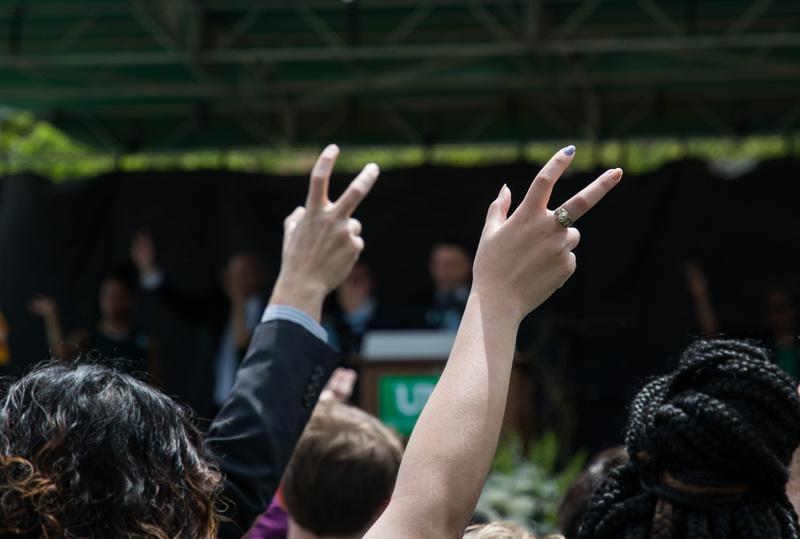 Those who spoke during the ceremony shared their thoughts and words on grief and the UNT community. The Assistant Director of training for UNT Counseling and Testing Services, Arlene Rivero Carr, was the chosen keynote speaker for the ceremony. She discussed the different aspects of grief and loss while sharing her experiences of being a therapist for people who have faced loss. Guests put up an eagle claw during the Flight Memorial Ceremony Wednesday afternoon. The 13th annual memorial service was held in the south lawn. Image by: Samuel Gomez. Each year, four people are selected to sit on stage to honor each group of people that were being honored, Kara said. This year, those four representatives were Graduate Student Council President Giselle Greenidge, Staff Senator for the Division of Student Affairs Charlotte Cooke, journalism professor Sheri Broyles and UNT Alumni Association Executive Director Rob McInturf. UNT also has other permanent tributes and ways of remembering “fallen eagles.” The Sustaining Arch in the Library Mall serves as a memorial to those who have died, With said. The UNT flag on the south side of Willis Library is lowered to half staff for seven days when the university is notified of a death. Featured Image: A woman places a lotus flower in Jody’s Pond to honor the memory of a loved one. The Flight Memorial Ceremony was held in the south lawn to remember students, faculty, and alumni who have died in the last year. Image by: Samuel Gomez.